Four million households across the UK are off the mains gas grid and are reliant on expensive alternatives to gas to heat their homes. While off-grid living may conjure up romantic ideas of returning to a more natural way of living, the reality for many is much more prosaic. It is typically far more expensive to heat your home off-grid, which creates significant problems for the rural poor. 12.5% of rural families are in fuel poverty. That’s slightly higher than the 11% of urban families struggling to pay their energy bill. But critically, the government identifies that fuel poverty in England is twice as 'deep' in the countryside as in town. That means the typical rural, fuel poor family would have to find a way to save over £600 a year on their energy bill before their energy costs become affordable. A typical fuel poor family living in town only has to achieve around £300 savings to reach an affordable level. Why? It’s not income levels, which are slightly higher in the countryside than in towns. Rather it’s the problem of underinsulated homes with expensive heating systems. Nearly 20% of homes in rural areas are in the very energy inefficient F and G categories, compared to just 2.4% in urban areas. And 91.1% of urban households have a gas connection, and are able to use gas boilers compared to only 40% of homes in rural areas. Gas boilers are the cheapest way to heat our homes, so most people in rural areas are using more expensive heating fuels, principally electricity, oil or LPG. For those that have the resource, installing renewable energy sources is one solution. In Scotland, the Green Homes Network works to put home owners in touch with people who have already been through the process of installing renewables, to provide support, information and advice. You can browse case studies or even visit a home in your area, where the owner can talk you through all the advantages, the actual costs, and their installation journey. For many, the motivation to install renewables isn't about saving money but more about the practicality of having a home in a remote area. Options such as solar PV, solar hot water, a wood-fuelled boiler and wind turbines can form part of a renewables package that removes the need for off-grid fuels, such as oil or LPG altogether. These higher fuel prices are compounded by the off-gas grid housing stock, which all has a much lower average energy efficiency, as rural homes are more likely to be detached, older properties with uninsulated solid walls. While solid wall insulation is a good solution for many older homes, costs can be high. Any household or landlord in Scotland can access a zero interest loan to help pay for insulation. And further grants and support may be available for households on low incomes , particularly if you’re in Scotland or Wales. Decarbonisation of heating in homes and other buildings is widely considered to be one of the principal challenges facing the UK over the next decade. The Committee on Climate Change (CCC) has called on the Government to commit to developing a low carbon heat strategy within three years. As the government develops its heat strategy, rural areas – and particularly people in fuel poverty living in rural areas - should be the priority for the government in promoting affordable renewable heating systems. The first step must be to deliver improved insulation in rural homes. The government in England in 2015 committed to improving F and G banded fuel-poor homes in England, by 2020. That’s a target that’s almost certain to be missed. The Committee on Fuel Poverty has identified the need for a new fuel poverty fund for England. 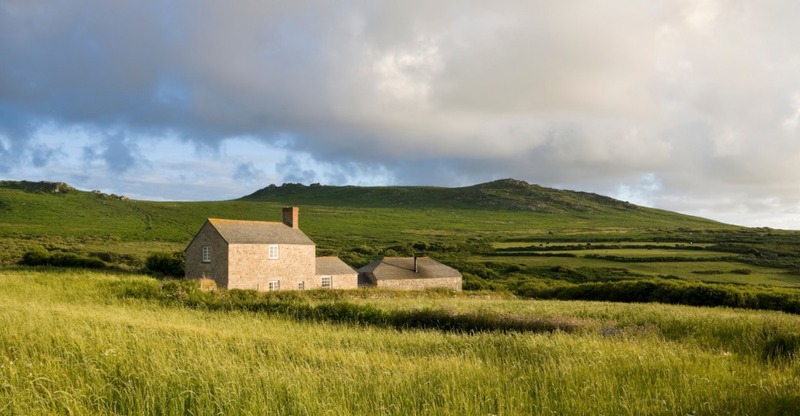 Tackling rural homes should be a focus for that new funding. As for heating systems, it's important that the government gives a clear signal that the Renewable Heat Incentive will continue beyond 2021. The roll out of smart meters is one measure that can help, as they can provide people with up to the minute information on how they're using energy in their home. They're particularly good at seeing how much energy each appliance uses. More information can support people to make informed choices and actively manage what they're using more effectively. For those that are able to pay, it allows them to switch from a plasma to an LCD TV or install LED lighting to reduce electricity use. At the Energy Saving Trust, we use our Home Analytics service to understand the main areas in the UK for off-grid homes and how this is related to areas of high fuel poverty. This is so we can provide an additional level of understanding to this issue, and at the same time, provide effective solutions to help these households in the future. There will always be a number of recommendations for improving the situation, but until we have meaningful solutions to engage off-grid households, problems such as high energy bills, high fuel poverty and low energy efficiency, will persist. Ultimately it’s down to targeting the right areas and providing the right advice, help and support. If we do this then there’s no reason why off-grid homes can’t feel the full benefits of a more energy efficient home, regardless of their situation.